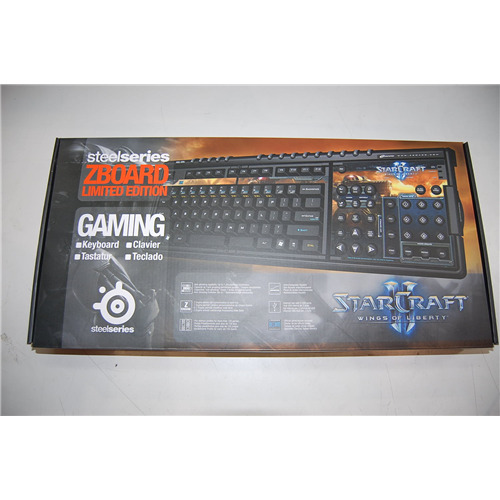 Steel Series 64090 Gaming Keyboard: The SteelSeries Zboard for StarCraft II offers players the ultimate gaming tool as they jump back into the epic struggle between the Protoss, Zerg and Terran races in StarCraft II: Wings of Liberty. With its ability to adapt up to 150 games through a combination of removable keysets and profiles, the SteelSeries Zboard is unlike any other gaming keyboard on the market. 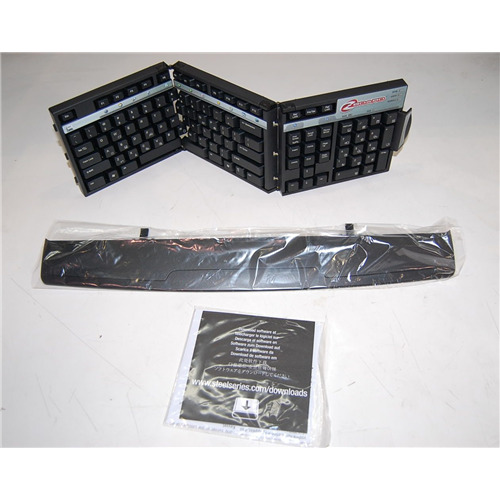 Its "anti- ghosting" feature allows up to 7 simultaneous keystrokes opposed to the standard 2-4 on most keyboards. 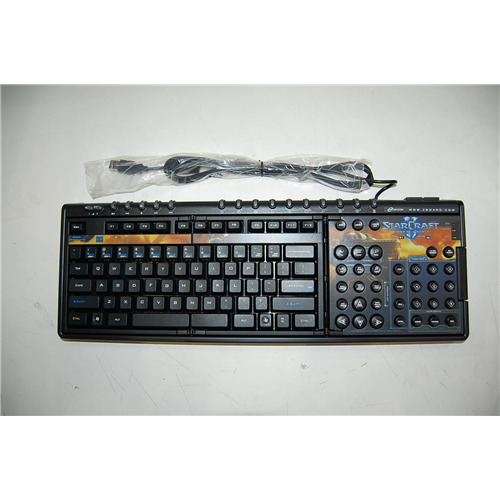 It can be fully customized through the use of the included SteelSeries Z Engine software which enables macros to be dragged and dropped onto specific keys by use of the program. Dimensions (H x W x L): 8.9" x 18.4" x 1.5"